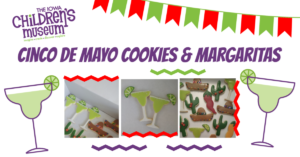 Grab some friends to celebrate Cinco de Mayo grown-up style by decorating fiesta-inspired cookies and sipping on margaritas at The Iowa Children’s Museum. 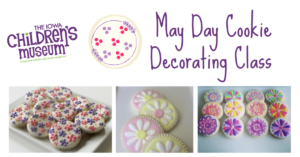 After learning a few cookie decorating techniques from Heather, owner of Pink Umbrella Bakery, you’ll be free to get creative with your cookies! When: Sunday, May 5, 2019, 6:30 p.m. to 8:30 p.m. Where: The Iowa Children’s Museum at Coral Ridge Mall Cost: $25 per ticket (Includes cookie decorating class and drinks) Click here to register. 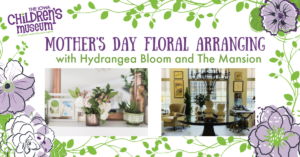 Celebrate an early Mother’s Day with Hydrangea Bloom and The Mansion! In this workshop, you’ll create your own gorgeous small floral arrangement with Allison from Hydrangea Bloom and display it in a beautiful vase provided by The Mansion. Drinks, appetizers, desserts, and a special prize or two are also included. When: Thursday, May 9, 2019, 6:30 p.m. to 8:30 p.m. Where: The Mansion Interior Design Studio Cost: $40 per ticket Click here to register.